The artist Patrick Fleury was born in 1951. He divides space in order to give his work an internal-external dynamic. The wide arch adds a modern touch to the classic shape of a sundial. 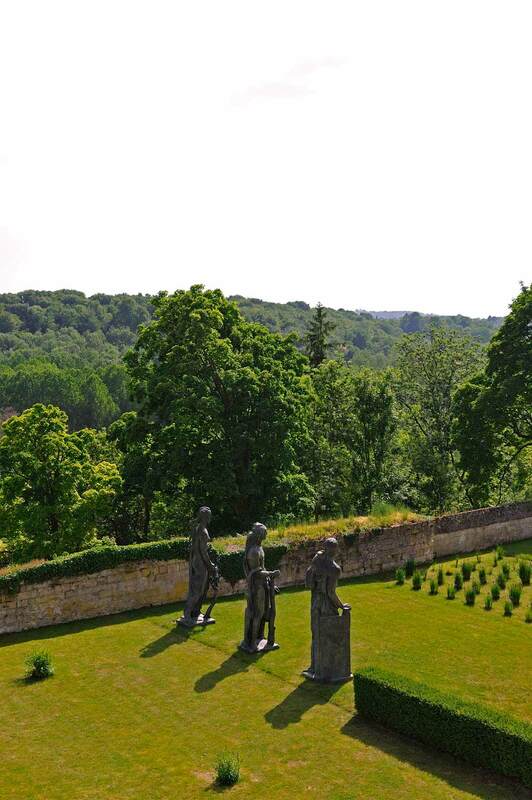 The work of Eugène Dodeigne (1923-2015) shows a form of unity. 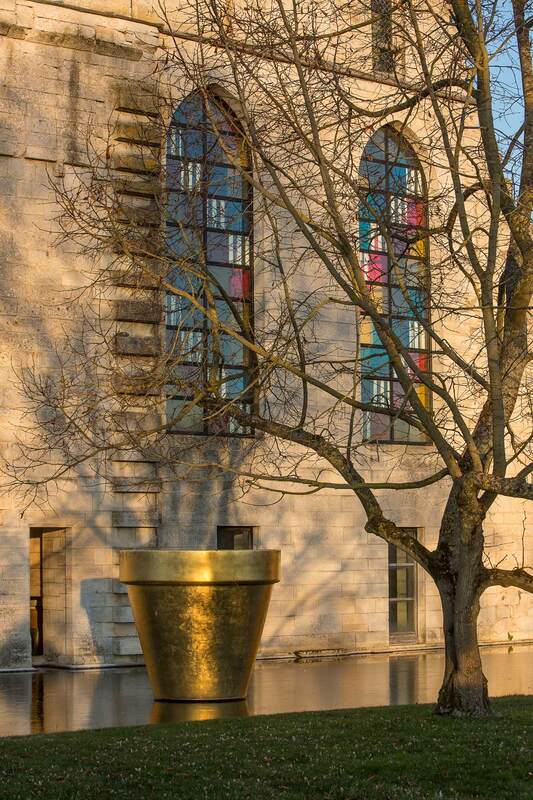 Working in close contact with Constantin Brancusi, the artist felt very early in his career the need to transmit the energy of stone, its tension between surface and volume, which he developed in a range of expressionist figurative and uncompromising sculptures. 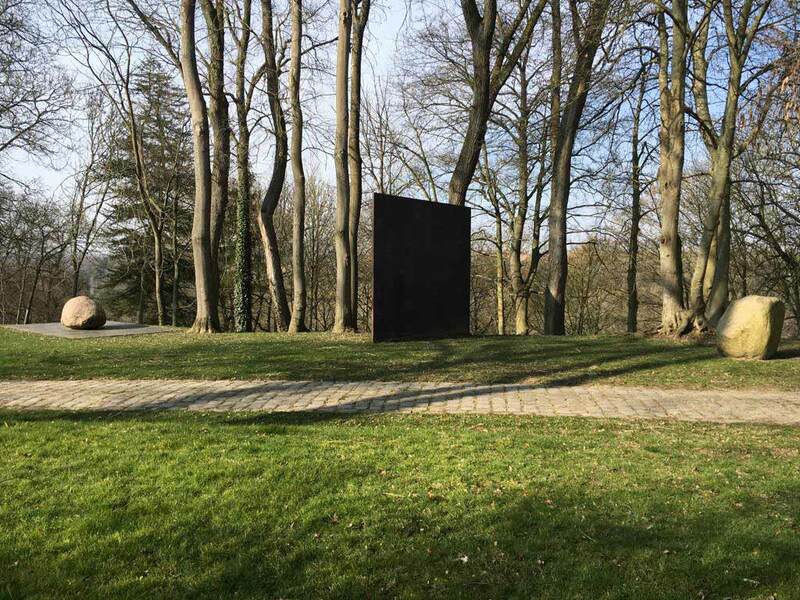 With its clear-cut aesthetics and its sacral nature, Sans Titre (Untitled) (1997) can evoke a funerary monument from a primary civilisation, with a timeless presence and symbolic form. César (1921-1998) is famous for his work on Compressions, created with a hydraulic press, the chance result of a redesigned sculptural motion. His cast iron Expansions are less well-known, of which there are 6 unique pieces made in 1991. Expansion #1, Grosse ronde (Large round) is paradoxical, as it combines the softness of its round shape with the roughness of its material, its surface showing a telluric aspect due to rust. The randomness of the creative process is juxtaposed with that of the transformation of matter in time, which makes this piece simultaneously monumental and vivid. 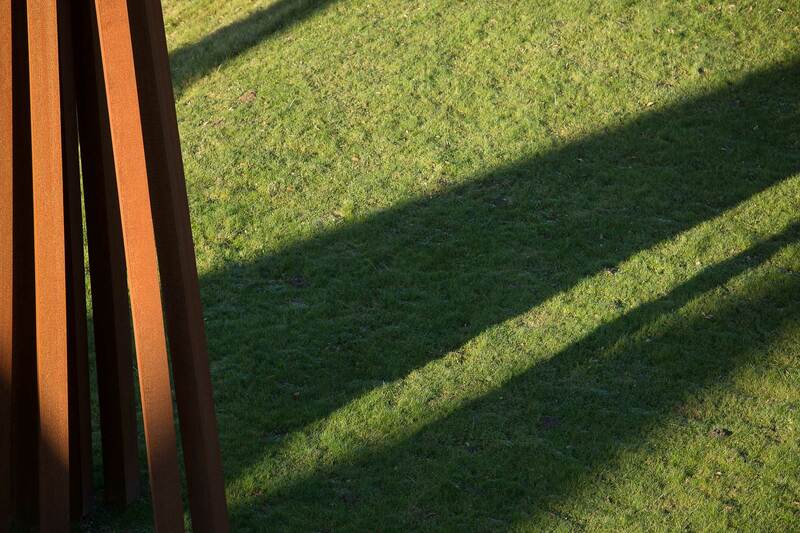 Bernar Venet was born in 1941, and is an avant-garde artist behind a form of conceptual art. 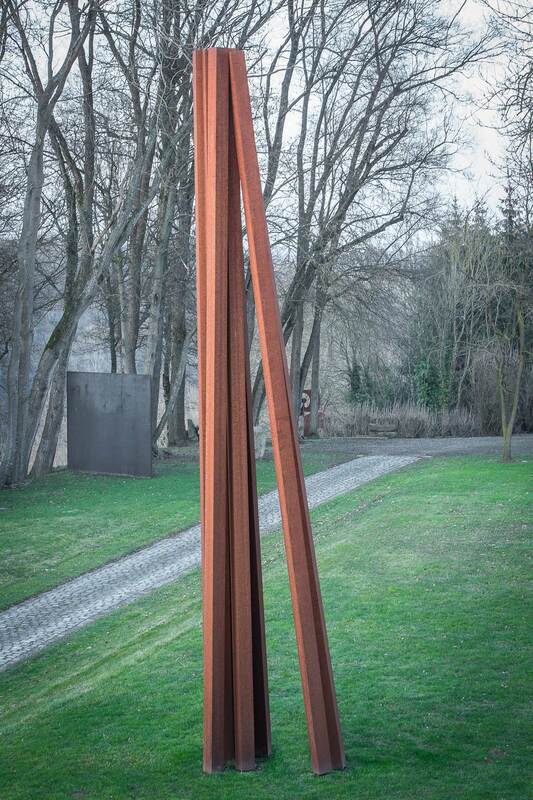 His weathering steel sculptures “Lignes Indéterminées” (Undefined Lines) or “obliques” are emblematic of his discourse. discours. 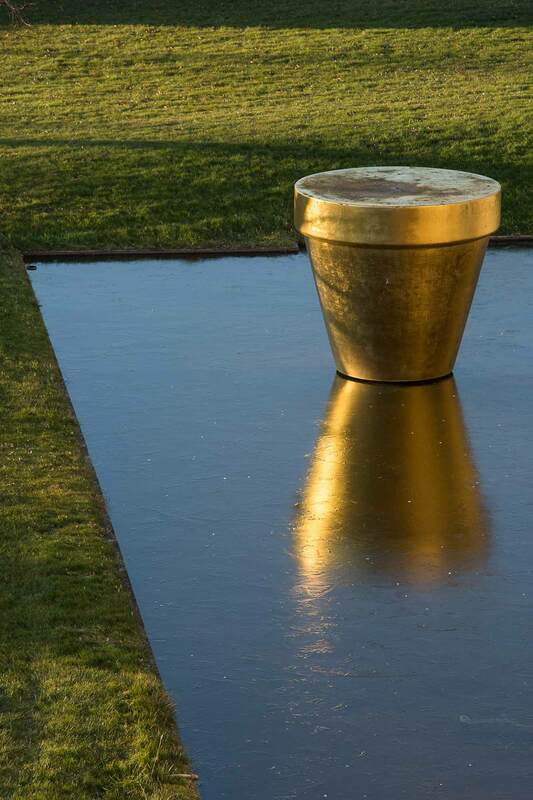 His work is intense and exacting, and endlessly questions the relationship of art with landscape and architecture. 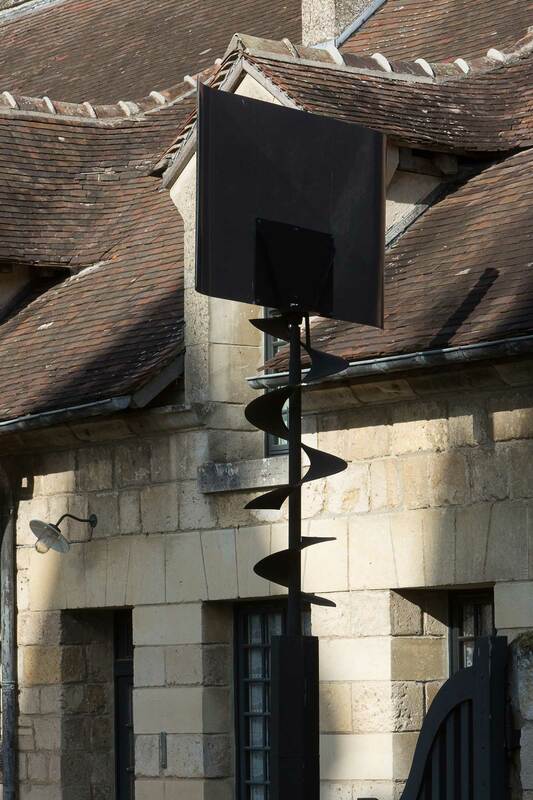 The work “9 lignes obliques” (9 obliques lines) which is exhibited here carries the spectactor’s eye up to the sky. 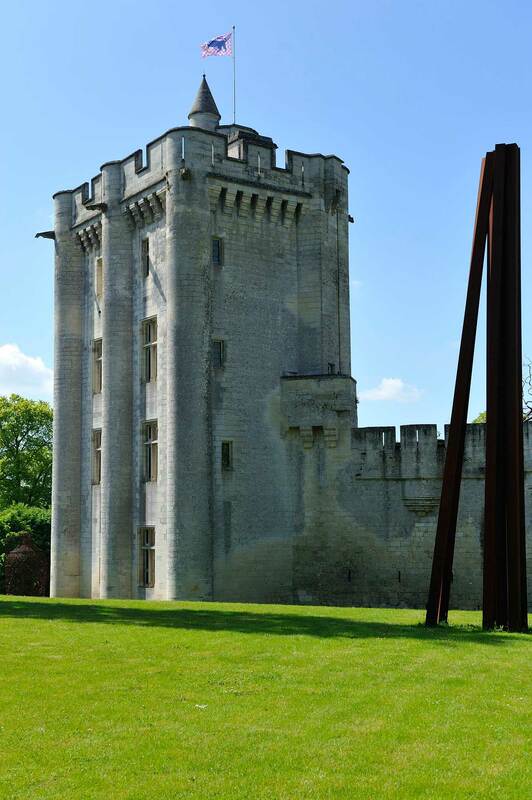 The radical monumentality of the work comes into its own in the castle’s perspective, and with the battelements outlined just behind. 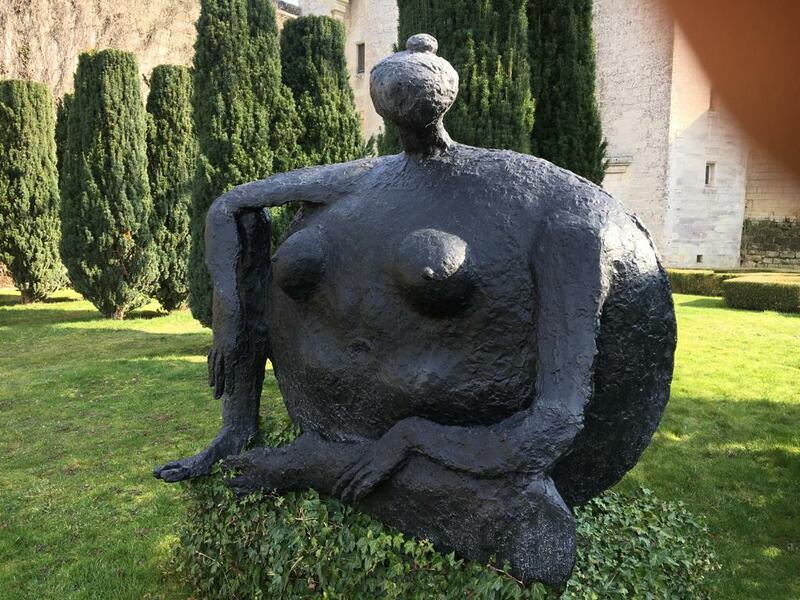 This work from Bourdelle is placed in a garden of apple trees, a setting designed by Stéphane Ducroux. 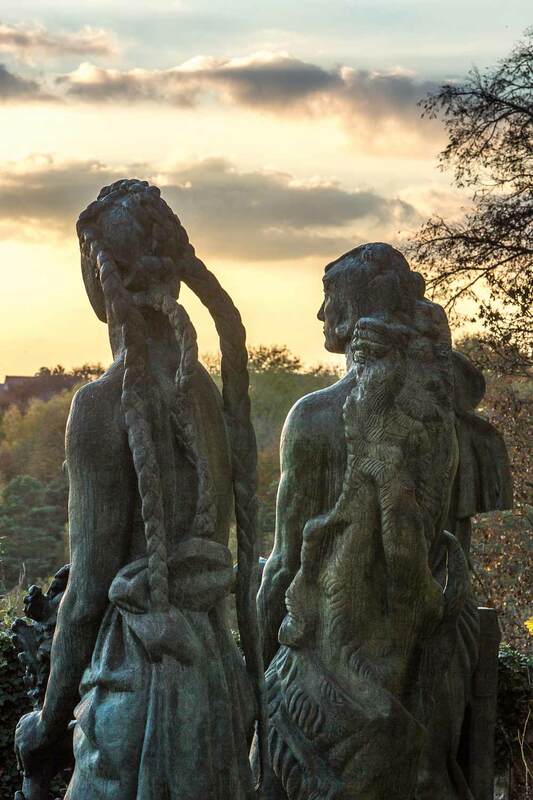 Bourdelle was a pioneer in the world of 20th century monumental sculpture, and developed a romantic style, as a reaction to a type of sculpture he found too expressive. 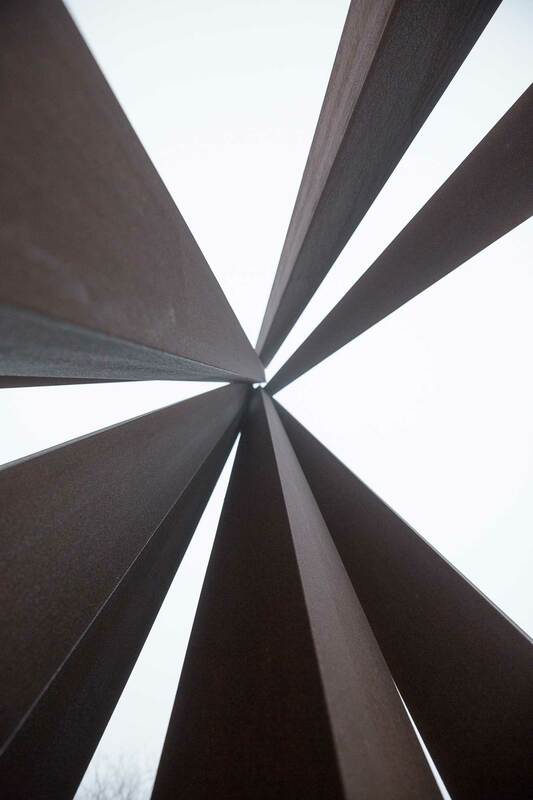 The Greek artist Takis, who was born in 1925, showed early on an interest for kinetic art. His favoured research fields are wind, signage and magnetic fields. The sculptures he creates are monumental and designed to interact with space, infusing oddity into landscapes. 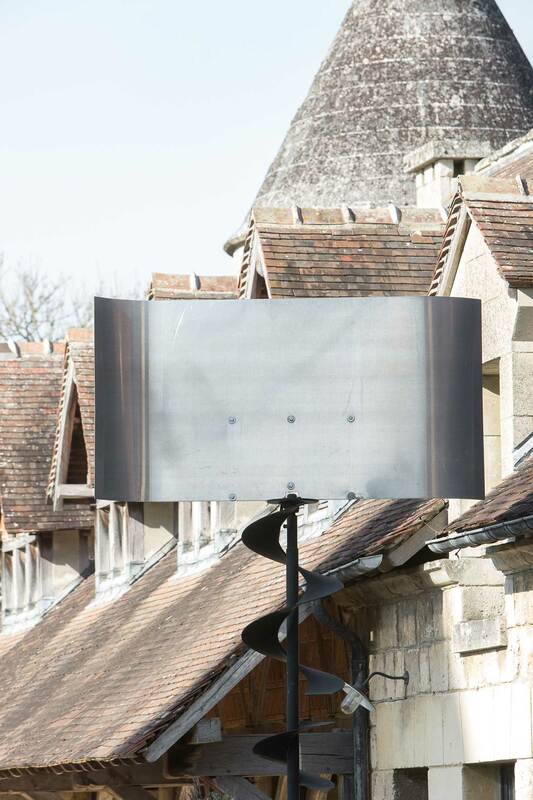 Reminding the viewer of both futuristic railway signals and totemic figures of another era. Bronze sculpture. Robert Couturier (1905-2008) was a student of Aristide Maillol. 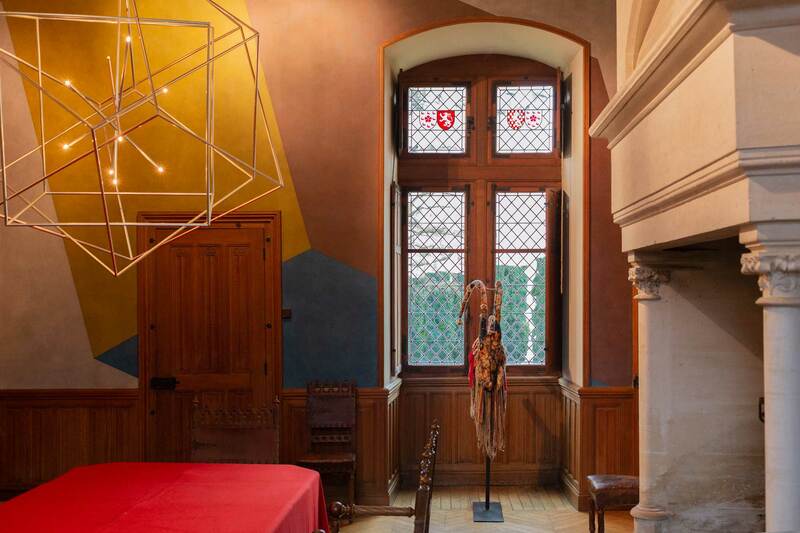 The large room on the Ground floor hosts a piece of work by American artist Sol LeWitt, created in 1995, which is spread out on the four walls of the room. Sol LeWitt was born in 1928 in the United States, and disrupted the arts scene of the Sixties with a radical practice which aimed at stripping shapes and colours down to their simplest form. This stripping-down of shapes results in pattern geometrisation and by a tonal range limited to primary colours only. 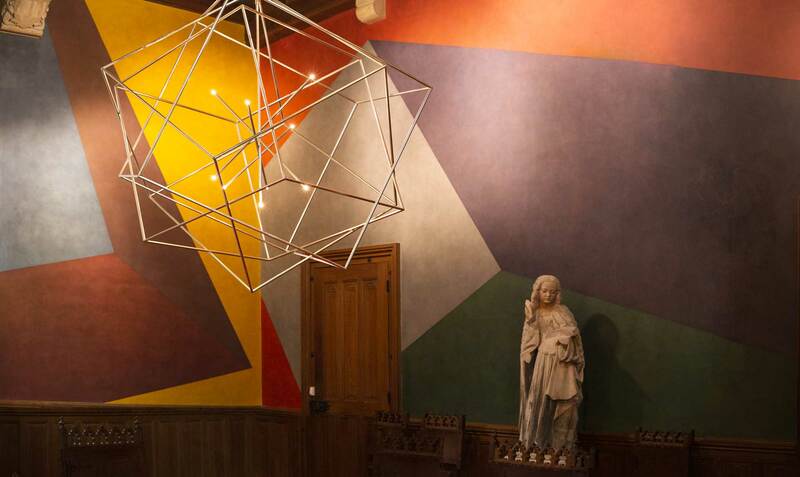 With his “Wall Drawing”, Sol LeWitt offers the viewer a series of geometric combinations. 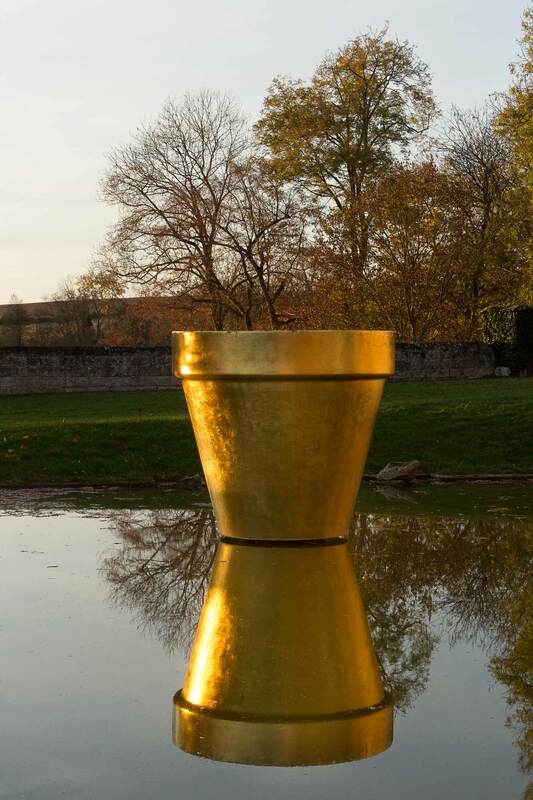 In 1990, the famous landscape designer of the jardin des Tuileries, Pascal Cribier, created for the Donjon de Vez a minimalistic garden exploring medieval iconography and the tradition of walled gardens. Quatrefoil plants, in the iconic shape of the Middle Ages, are combined with bunches of gaura, reminding the viewer of medieval “thousand-flower” tapestries. 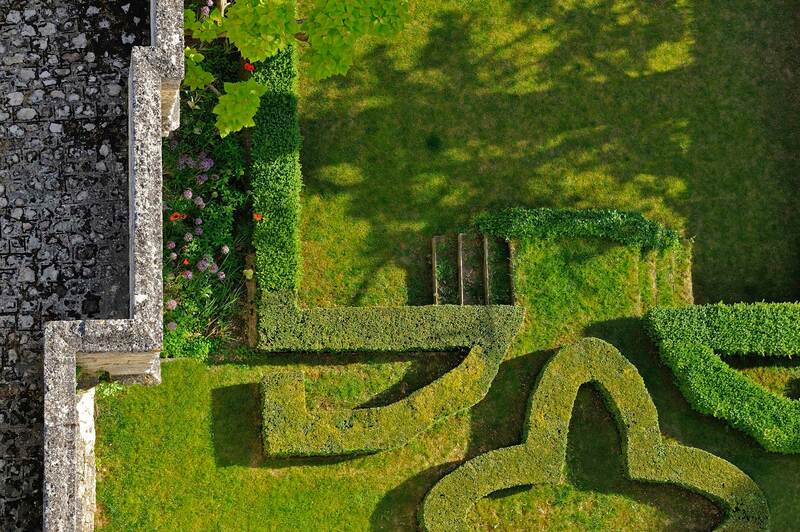 The organisation of the plants, based on a concept of levels, reminds us that during the Middle Ages, the notion of perspective didn’t exist, and simulation was obtained through volume variations and inverted heights. 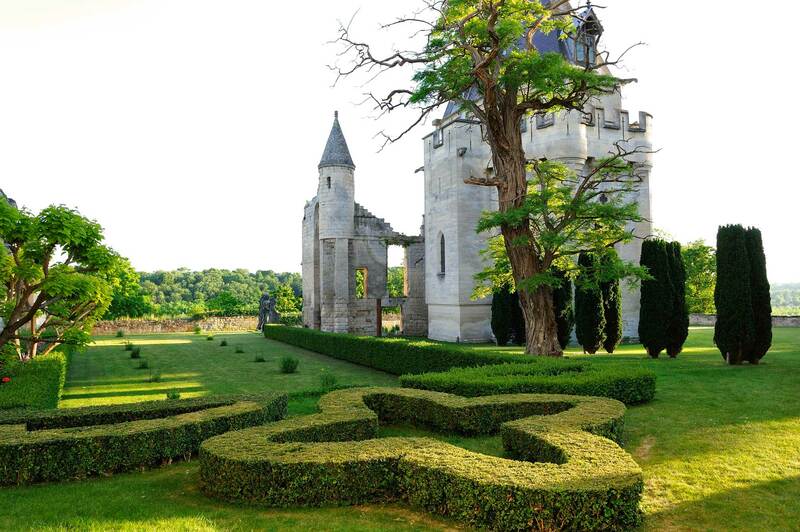 The French Ministry of Culture listed it as a“Remarkable Garden”. 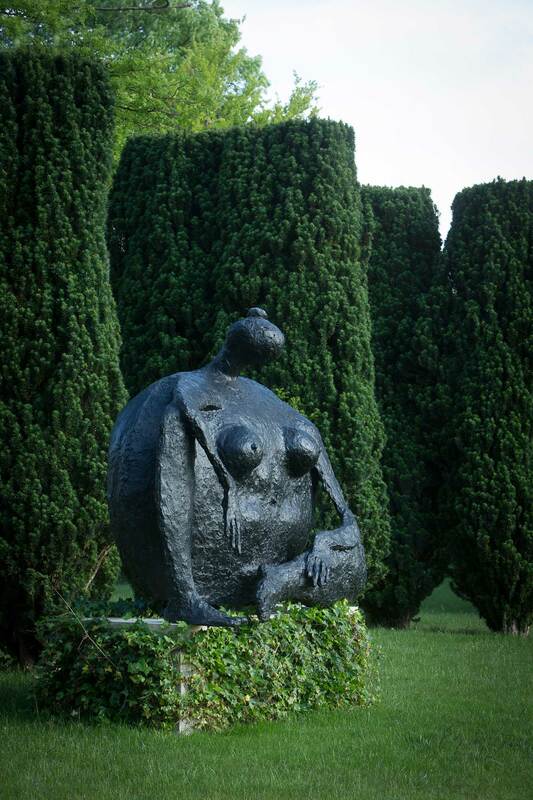 It is one of the few contemporary gardens to hold this title. 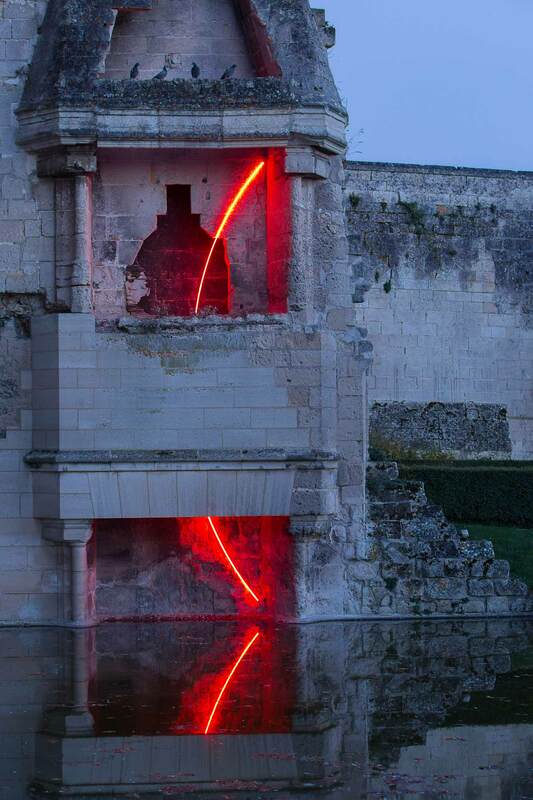 In the old fireplace of the main building, which has now disappeared, French artist François Morellet designed in 1999 a minimalistic work as a part of the “L’art Surprend l’éclipse” exhibit (Art surprises the eclipse). François Morellet was born in 1926, and included neon tubes in his productions in the Sixties, later developing architectural integrations in the Seventies. He was the second artist to see his work enter the Musée du Louvre collections during his lifetime. 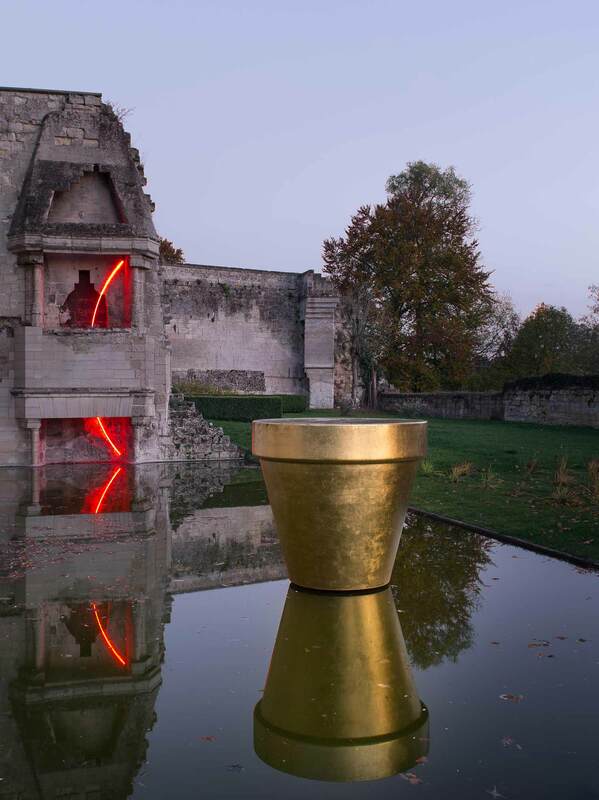 Behind the chapel, a water mirror creatively sets off the ruins of the old fortified house. 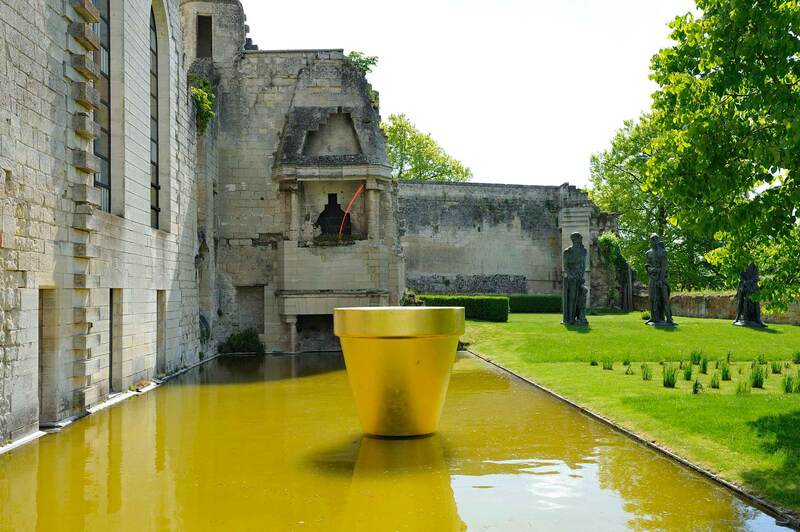 Designed by Pascal Cribier, this layout allows for light to fluctuate with the sunshine, and is a prime venue for Jean-Pierre Raynaud’s Pot Or, a monumental sculpture covered in gold leaf. The artist, who was born in 1939, is also famous for his white faience ceramic works. 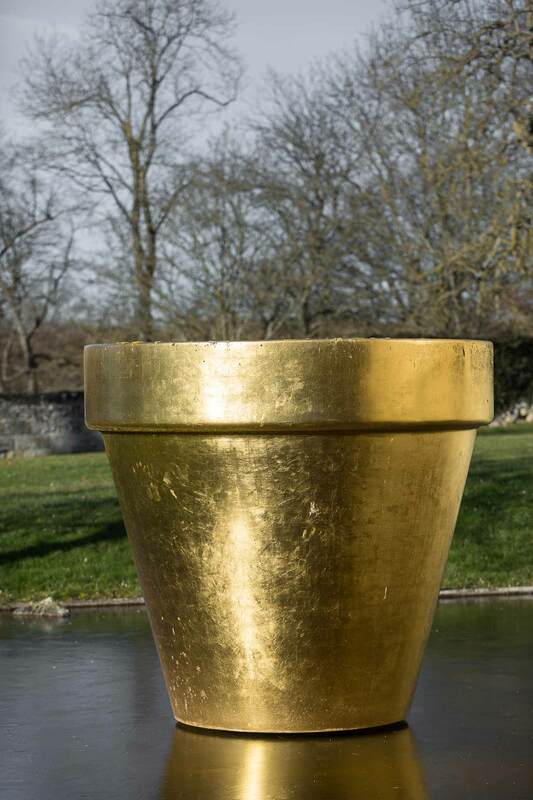 Another Gold Pot, of larger dimensions, is currently exhibited on the terrace at the Georges Pompidou Centre in Paris. 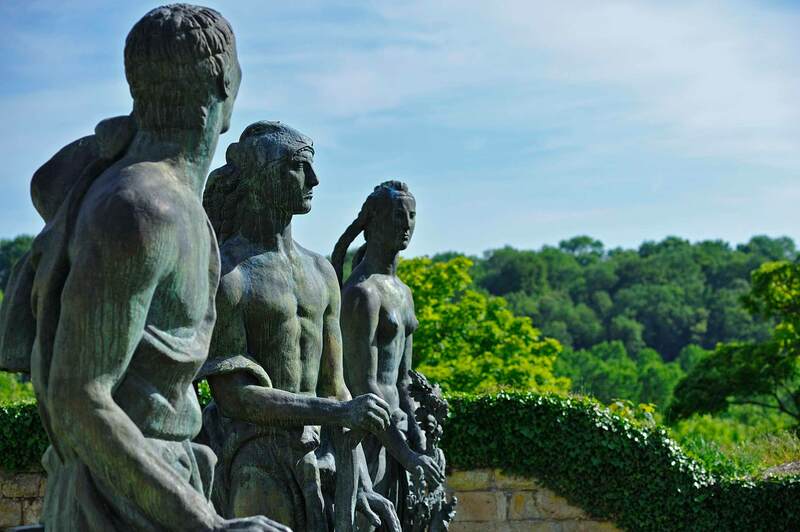 Three monumental bronze works of Antoine Bourdelle conjure eloquence, strength and freedom. They were designed for the equestrian statue of General Alvear in Buenos Aires, Argentina. 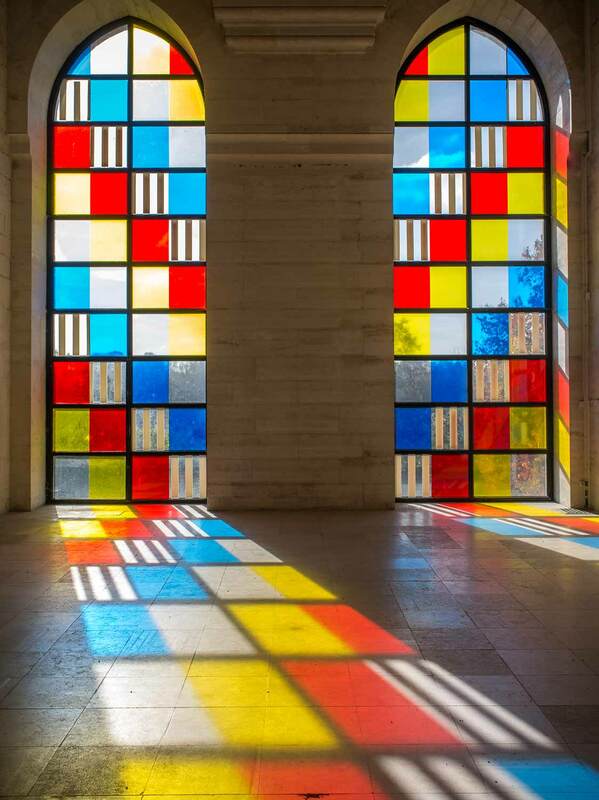 Daniel Buren was born in 1938 and founded the BMPT Group, with Mosset, Parmentier and Toroni in 1967. For their exhibits, each artist picks a pattern to be repeated. 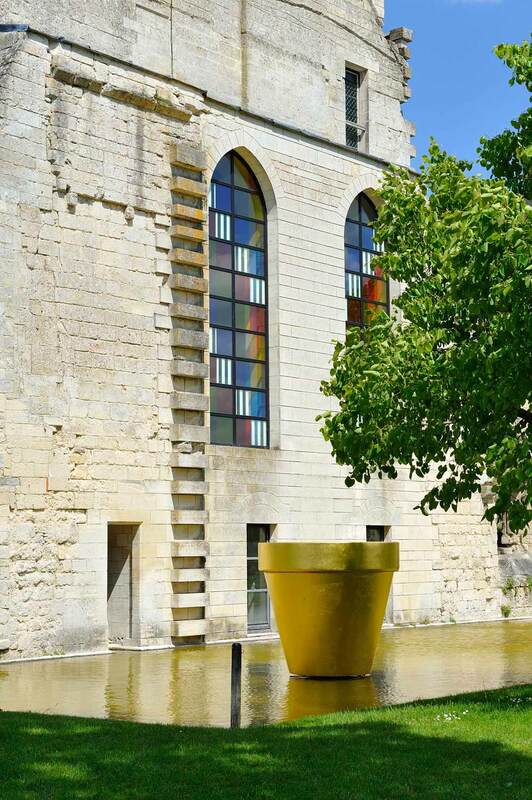 Buren chose alternating black and coloured vertical 8,7cm wide stripes. 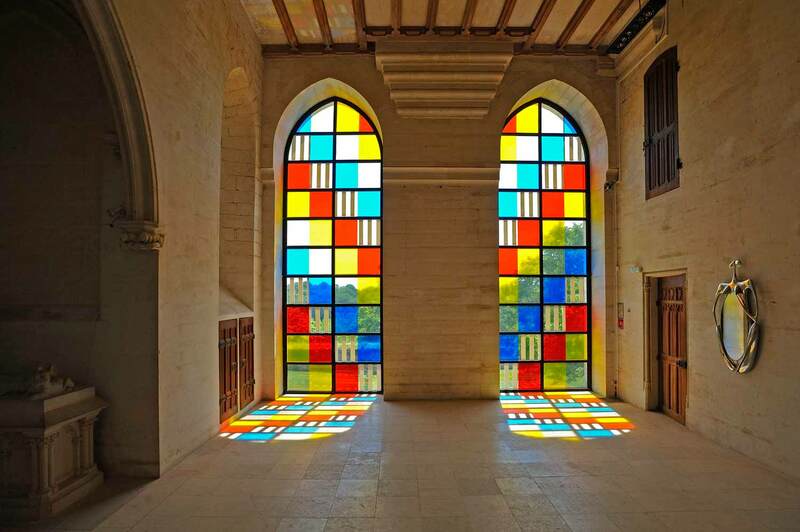 The viewer can find this aesthetic concept in this work of art, created especially for the Donjon chapel, in 2005. Working on the two large glass roofs, he offers an original perception of the place by playing with light and lines. 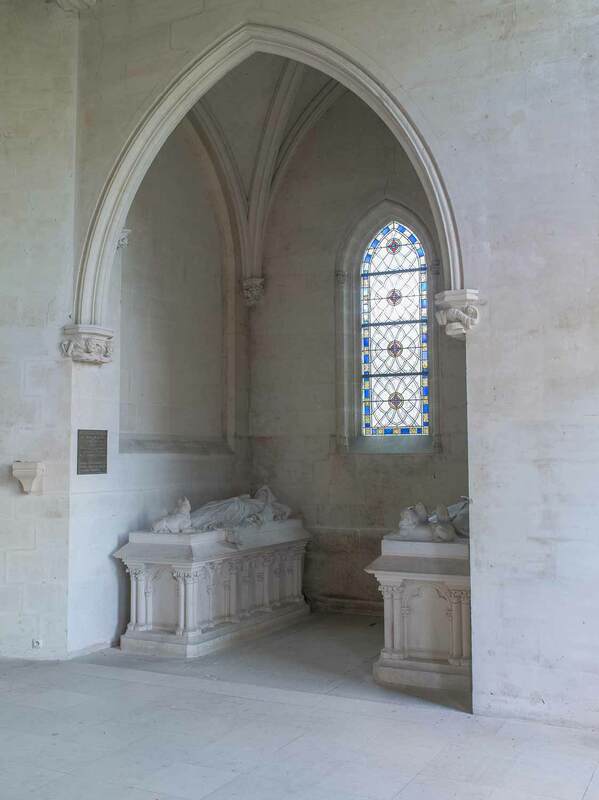 The white marble recumbent statues, graves of the previous owners of Vez Léon Dru and his wife, can be admired in the nave of the chapel. 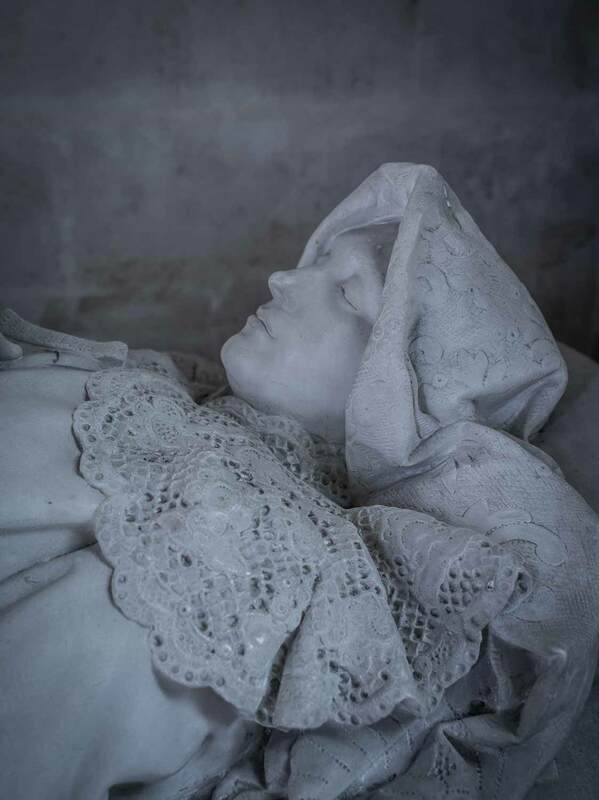 These installations by Emmanuel Frémiet, who was born in Paris in 1842, are a magnificent example of neo-Gothic sculpture. 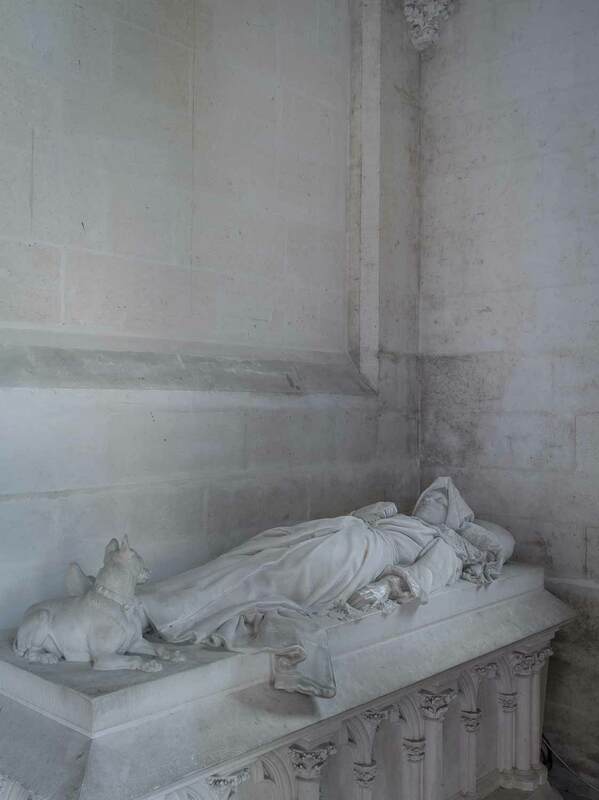 Emmanuel Frémiet mostly devoted his work to animal sculpture, but he also made a name for himself for State commissions. He is known for the first equestrian statue of Joan of Arc, erected Place des Pyramides in Paris, and also the sculpture of Saint Michael adorning the top of the steeple of the church of Mont-Saint-Michel. Eric Croes (born in 1978) found a technique in ceramics which enables him to express fully his whimsical and dreamlike imagination. His sculptural work, which brings together anthropomorphic elements and everyday objects, voluntarily muddles the line between art and crafts. From this original way of working with ceramics arises a jubilation of shapes and colours, conducive to daydreaming and travelling, of which the work exhibited in Vez is a perfect example. The Eiffel room, with its remarkable cradle-like framework, was designed by famous French engineer Gustave Eiffel and is a tribute to French civil engineering. 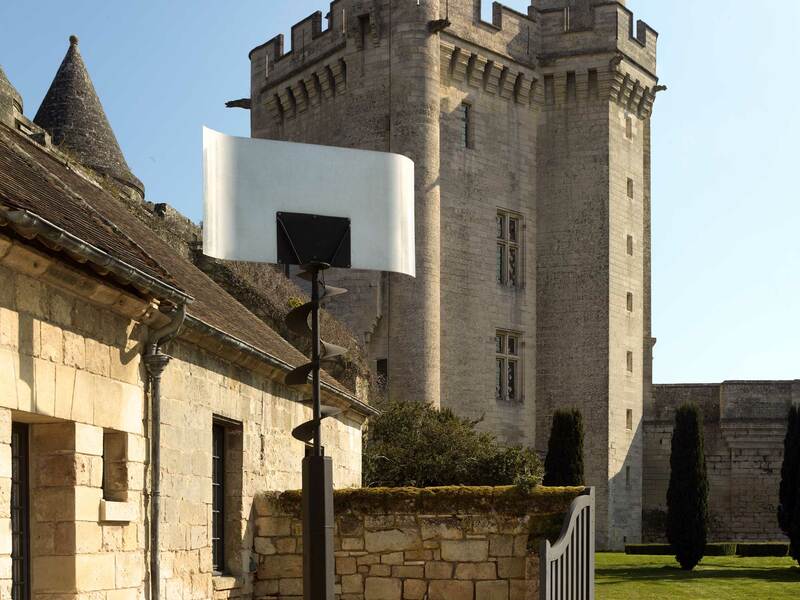 This metal architecture is a reminder of the contribution of Léon Dru, a great civil engineering industrialist and former owner of the Vez castle, who restored the Donjon to its feudal character. Léon Dru was a patron or the Arts and Heritage, and contributed to the national collections, by donating two works by Chardin to the Musée du Louvre, and by assisting the State in purchasing the castle of Azay-le-Rideau. 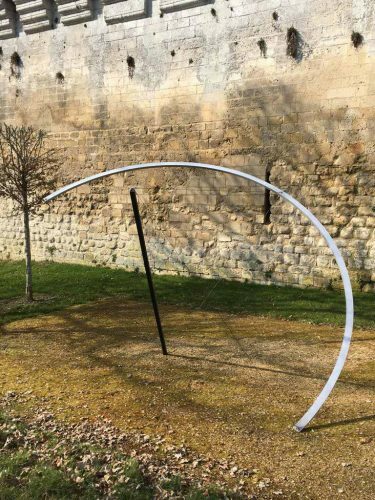 Since 2015, one year after his remarkable exhibit at the Château de Versailles, the Donjon of Vez has had the pleasure of hosting a piece of work from Korean artist Lee Ufan. His vocabulary is misguidingly simplistic. 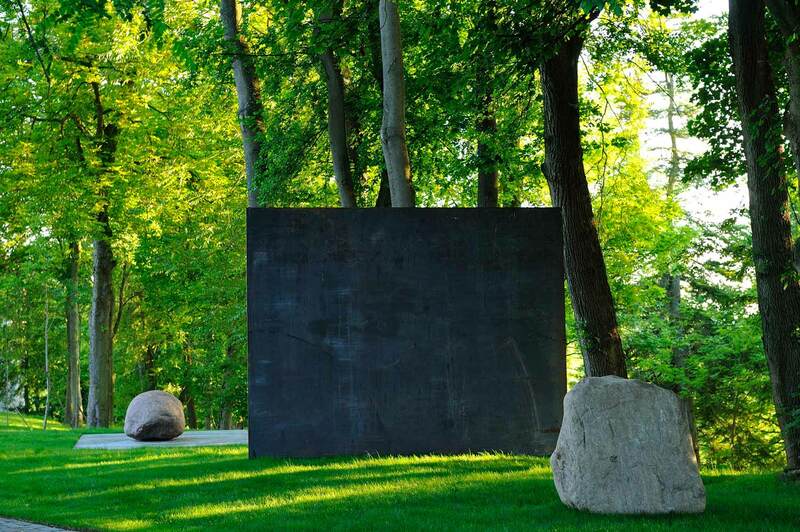 This sculpture, like a dialogue between being and time, links nature to human awareness by the confrontation of the steel plate, metaphor of the industrialised society, and stone, symbol of nature. 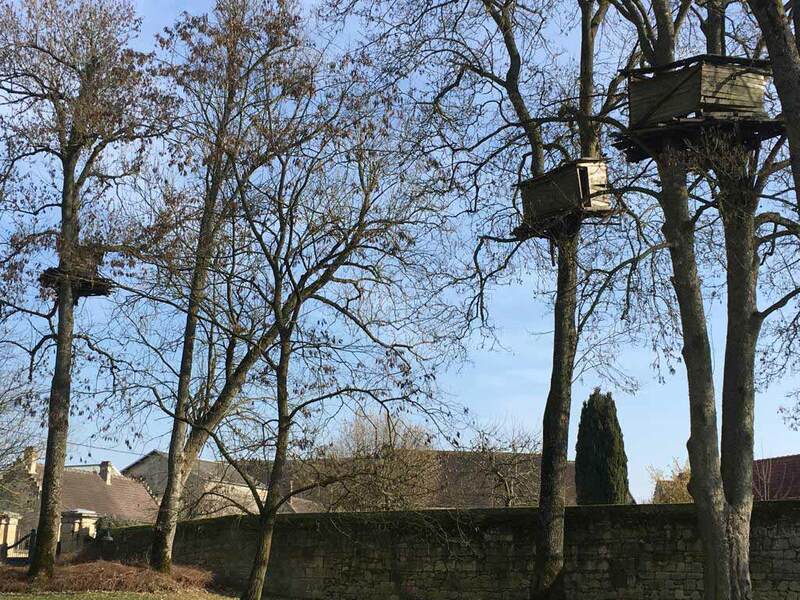 The lower courtyard, which originally held the stables and storage buildings of the castle, hosts nowadays an installation of Japanese artist Tadashi Kawamata. 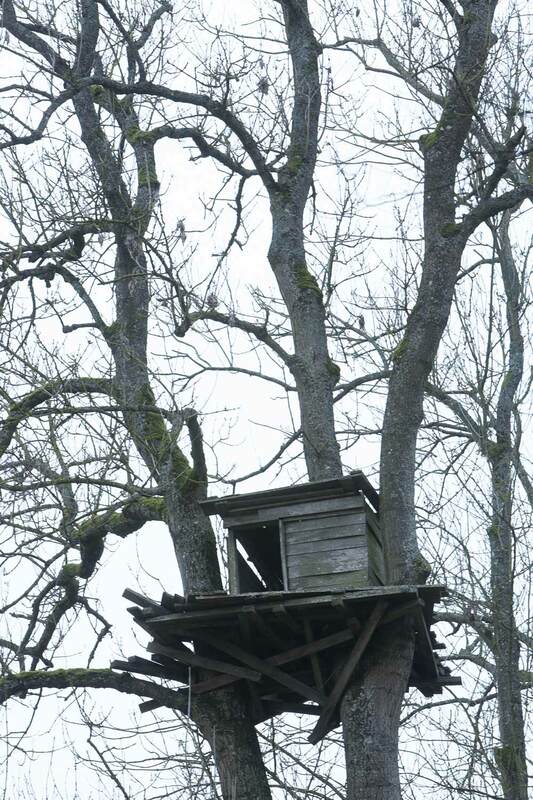 This artist, who was born in Tokyo in 1953 and is internationally renowned, has chosen wood for his favoured material. 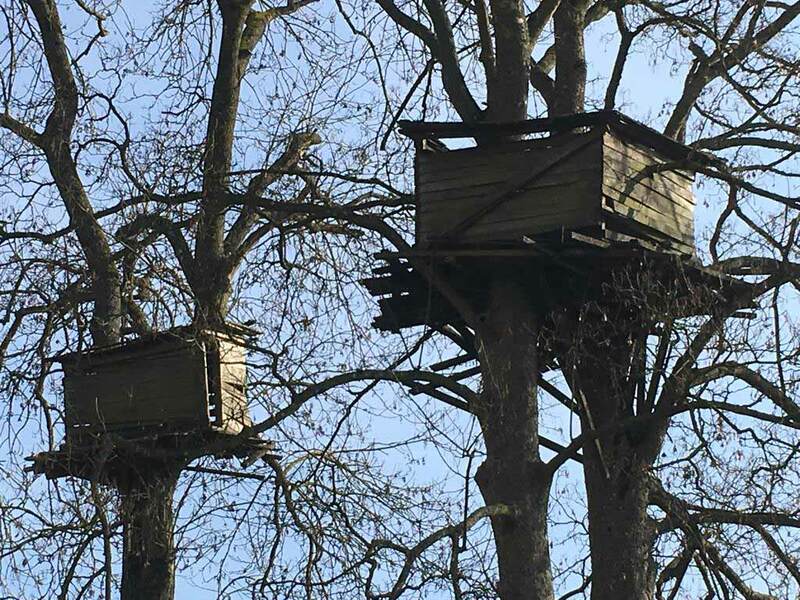 The in situ work is suspended in the trees and is emblematic of the work of the artist, who modifies our perception of the location through improbable constructions and invites us to experiment in a completely different way. The medieval underground galleries can be found below the lower courtyard. 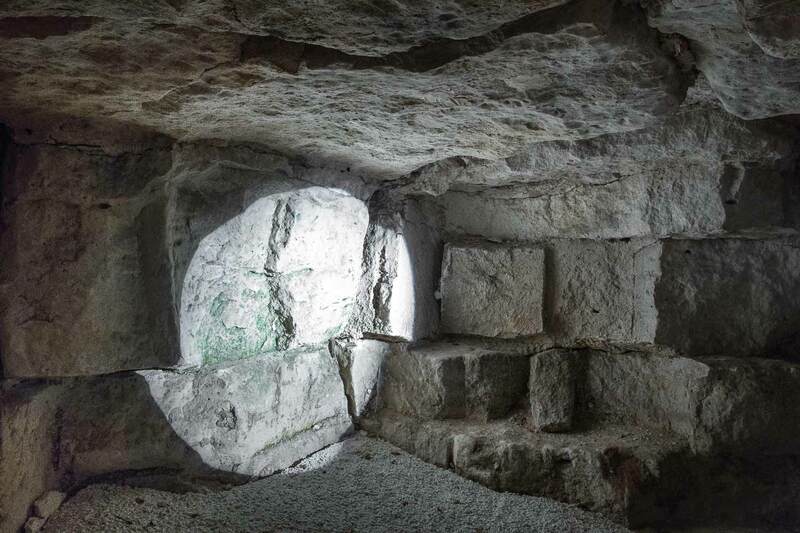 They were carved out of the stone, and were where the construction stones for the castle were extracted. French artist Michel Verjux created in March 2011 a luminous device at the heart of this tunnel. The artist was born in 1965 and developed a concept around the device, where light has a central place, focusing on the way things are shown, more than on the things themselves.